So begins fiction writer Gerard Murphy in the preface to his new “history” of the Irish Revolution in the south-western region of Cork City and County, particularly between the years 1921 and 1923. It is hardly the most confident of introductions, and aptly so, since what follows must rank as one of the worse examinations of Ireland’s revolutionary period to have been published so far. An undiluted catalogue of conspiracy theories, rumours, suppositions and suspect claims, many of which are unsourced or anonymous, it makes for an eye-wateringly bad “history” book. The author’s overall objective is clear from the outset: to establish that there was a campaign of “ethnic cleansing” by elements of the Irish Republican Army (IRA) against the British Unionist population in the south-west of Ireland during the War of Independence. I would say the mainly-Protestant British Unionist population except for the simple fact that the number of Roman Catholics in this area who would have described themselves as British and Unionist at this time far surpassed those who were Protestant. But let’s not let a little thing like facts get in the way. Gerard Murphy surely doesn’t. Typical of his cavalier, believe-it-or-not offerings is the dramatic story of three young Protestant “boy scouts” executed by the Irish Republican Army in Cork City between the 11th and 15th of July 1921 as part of an alleged sectarian campaign. 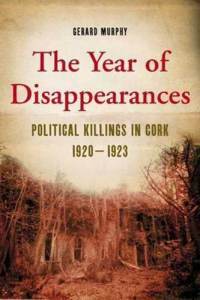 Unfortunately for the reader Murphy offers no serious documentary evidence for these killings, nor does he name the three slain youths, and in fact no such events are recorded anywhere else in the history of Cork City by any historian or journalist at any time over the last nine decades. Furthermore allegations of yet more anonymous Protestant boys being kidnapped in 1921 by the future (British-born) wife of IRA officer Florence O’Donoghue, rowed out to sea in a boat and deliberately drowned seem to take us into the type of Walter Mitty territory that is beyond even the wildest rhetorical flourishes of the British military propagandists of the period. One is simply left staring at the page in amazement. More bizarrely yet Murphy recognises the outrageous nature of all this by admitting that such claims are pure “…speculation”. Quite frankly allegations like this, stated without a single shred of verifiable evidence, add to the sense of a book that strays from fact to fiction and back again with almost every turn of the page. This is history from the Dan Brown school of academia and it is simply shocking that any publisher could think it worthy of publishing and selling under the cloak of serious research. Gerard Murphy began his writing career as the author of two thrillers and it is clear that being a fiction writer remains his forte. Some have challenged the accusation that Murphy is a “Revisionist Historian” (in effect an apologist for British rule in Ireland over the last several centuries) on the basis that he has included some criticism of the actions of the British Occupation Forces in Ireland during the revolutionary period. However such challenges ring hollow. Murphy might not be a typical Revisionist, but a Revisionist he undoubtedly is, and this book is little more than a thinly disguised Revisionist tract, and like many others, it plays fast and loose with the facts. The fringe minority who wish to believe and propagate the modern myth (or more accurately, lie) that there was a campaign of “ethnic cleansing” against the British Unionist population in Cork in the 1920s will find ready solace in this conspiracy-ridden tome. Most of that fringe will be right-wing British nationalists or their fellow travellers. For the rest of us, and the vast majority of the Irish people, it is just more of the same old propagandist nonsense that has been in circulation since the early 20th century, cheered on and popularised by the apologists for British rule and misrule in Ireland that have always been with us. For those wishing an accurate account of the relations between the Irish Republican Army and the British Unionist community in the Cork region, and the Unionist terrorist groups and spy-rings that existed at the time (Protestant, Roman Catholic and non-believer), international historian John Borgonovo’s acclaimed ‘Spies, Informers and the ‘Anti-Sinn Fein Society’: The Intelligence War in Cork City, 1919-1921′ is an excellent choice detailing the real history of a period whose complexities do not lend themselves to the simplistic and naive anti-historical interpretations found amongst the fringe of British historians and their followers. Another excellent recent study, addressing many of the alleged issues and the propagandist fallacies of the neo-colonial historian clique in Ireland and Britain, is Meda Ryan’s award winning `Tom Barry: IRA Freedom Fighter’, concentrating as it does on the Revolutionary struggle in the Cork region. UPDATE TO REVIEW: Under a deluge of critical reviews by Irish and international historians (Niall Meehan, Pádraig Óg Ó Ruairc, John Borgonovo, Eugenio Biagini, Caoimhe Ní Dabheid, Jim Fitzgerald, et al) Gerard Murphy has been forced to admit in a recent newspaper article that his book contained a number of serious errors and inaccuracies. I understand that several of these errors have been corrected or silently removed in the second edition to his book but his main accusations remain.